An Iowa House Democrat has proposed a new bill that would require most food producers to add a new label to their products sold in Iowa. 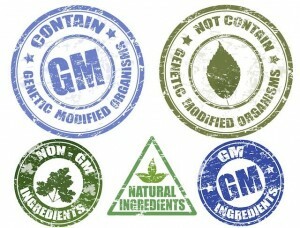 House File 147, offered by state Rep. Mary Mascher (D-Iowa City), requires food items to be labeled with information that identifies the food items as genetically modified. The Iowa Department of Agriculture and Land Stewardship would be responsible for administering and enforcing the bill’s provisions. Under the proposed legislation, any manufacturer of packaged food items must disclose whether it was or may have been subjected to genetic engineering when produced. Those who selling unpackaged food items on a retail basis must also disclose whether it was or may have been subjected to genetic engineering when produced, as well. Small businesses with fewer than 20 employees, or with less than $4 million in annual gross income, are exempted. The Agribusiness Association of Iowa, the Iowa Corn Growers Association, Monsanto, and the Iowa Grocery Industry Association have all declared they are opposed to HF 147. Iowa Citizens For Community Improvement Action Fund has declared its support for the bill.